If you’ve ever thought about throwing away your city life for some country living, we are here to tell you that Hawai‘i is a pretty idyllic place to do it. Year-round gorgeous weather, stunning scenery, a healthy lifestyle…we have it all. The North Shore of Kaua‘i, in particular, has become a very popular choice due to its small communities, beautiful beaches, and laid-back lifestyle. Many celebrities have been making it their home in recent decades, too, for the privacy and unparalleled beauty it provides. One Kaua‘i family has not only made their country living dream a reality, but they’ve turned their land purchase into a family business. Pretty enterprising right? Well, with no big city to provide jobs, many Hawai‘i residents decide to forge ahead with their clever business ideas, doing what many of us only dream of accomplishing. Kaua‘i-born sisters Marla, Maile, and Summer have turned their parents’ farm into just such a family business. 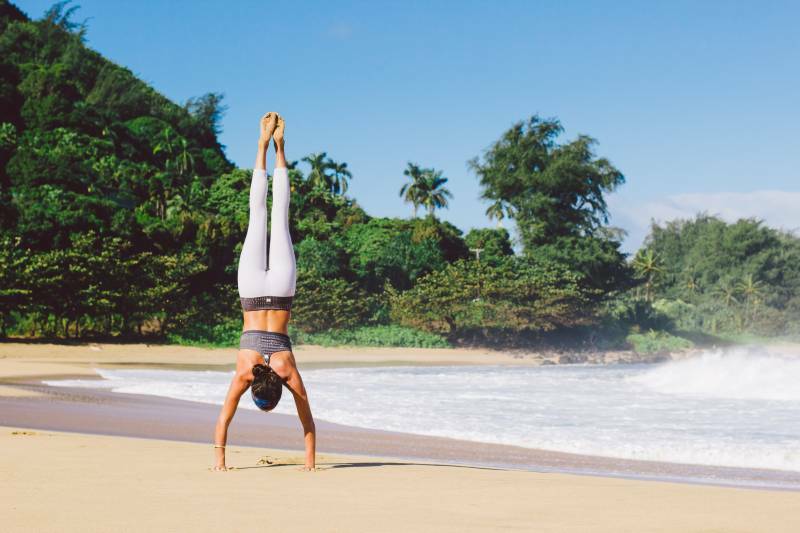 Marla lent her considerable creative talents and passion for wellness, combined with the real estate and retail expertise of her sisters to form Hanalei Organic. Together, they’ve turned their slice of Kaua‘i real estate and the bounty of their family’s 20-acre organic farm into a line of healthy, organic food products that are made with no preservatives or added sugars. Nestled next to the Hanalei River and overlooking the spectacular Hanalei Bay on the Garden Isle of Kaua‘i, the farm was their dad’s dream property. Many ingredients for their products are sourced directly from their property, which they revived with considerable effort from a wetland pasture to a productive one – planted with organically farmed superfoods like guava, açai, cacao, three varieties of banana trees, coconuts, mulberry – and dotted with lotus and fish ponds. Endangered bird species thrive in the wetlands and live amongst the 500 cacao trees. With a view to furthering a sustainable food culture on the Garden Isle, the business was inspired by their father’s dream to own a farm and ignited by the purchase of this unique land (see their website’s webcam for the superb view of Hanalei Bay) more than 10 years ago. 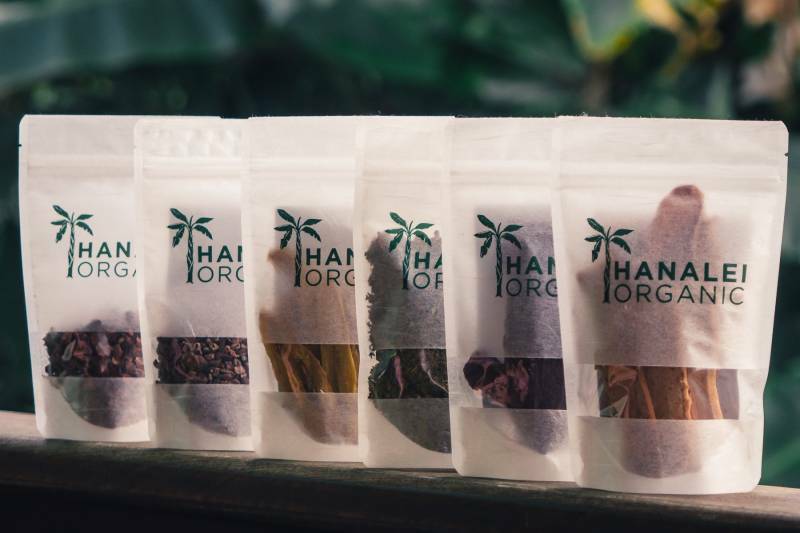 Their line of treats come in sustainable packaging made from bio-degradable rice paper and include mouth-watering, healthy organic treats like guava fruit leather, açai fruit leather, and dried apple bananas. From the bounty of the farm, they also produce cacao nibs, a chocolate tea, sun-dried cacao beans, and single origin chocolate that goes into their healthy and natural energizer—Pure Mana Chocolate Spread—made with locally grown macadamia nuts and local honey. They describe it as a healthy, Hawai‘ version of Nutella – Pure deliciousness! Marla is also a chef and certified nutritional consultant, so she hosts cooking seminars, in addition to leading seasonal yoga and wellness retreats on the property. 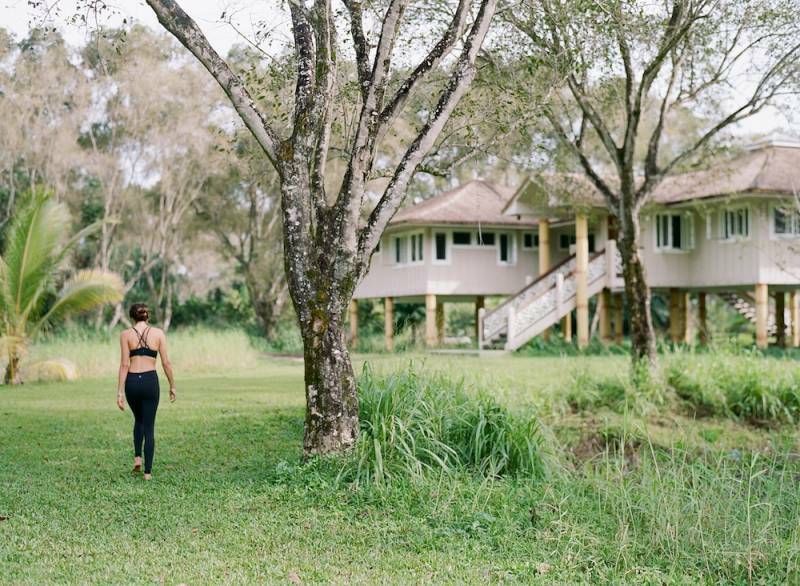 You can check out their website for upcoming retreat dates, which include yoga and meditation, organic farming, healthy eating, and stand-up paddle boarding in the Hanalei River, with yin yoga at the end of the day to soothe muscles and calm the mind. To continue to fund their creative enterprises, the sisters are selling five acres of their 20-acre farm. The parcel for sale is arguably the best one, as it boasts 500 linear feet of river frontage. 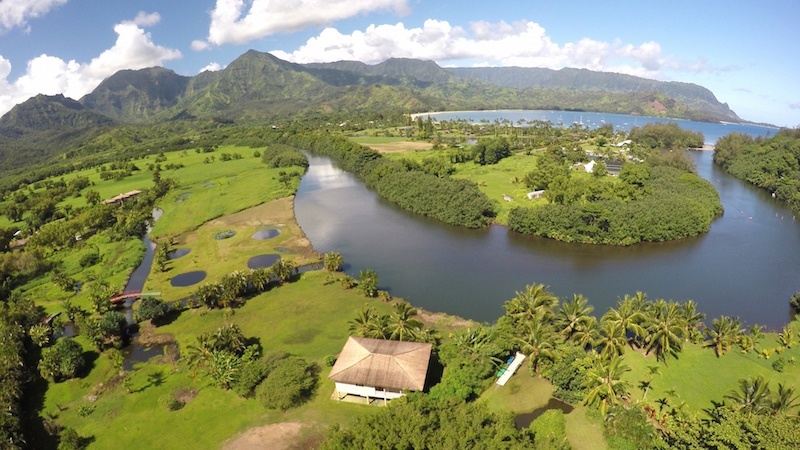 It is a 3-minute boat or stand-up paddle ride to Hanalei Bay, where any new owner could potentially build a large estate and guesthouse. Currently, there is a one-bedroom, 1,460 sq. ft. cottage right by the river. The parcel is primarily devoted to açai production and has an ag dedication (because it is part of Hanalei Organic farm) till 2026, which means the new owners will have considerably lower taxes. If this lifestyle sounds like a dream come true, check out their property listing here. If you’re looking to create this idyllic lifestyle in your existing home, check out our recent post entitled Backyard Farmers’ Market to learn about seven low maintenance tropical fruit favorites you can grow at home. If you’re shopping for a home on Kaua‘i’s spectacular North Shore, check out this beautiful Hanalei home that’s also currently on the market.